Home Tags Posts tagged with "robyn crawford at houston’ funeral"
Was Whitney Houston a secret gay and her partner was Robyn Crawford? Robyn Crawford, Whitney Houston’s former personal assistant, had been the singer’s secret lover for many years, claims gay rights campaigner Peter Tatchell. Peter Tatchell claimed Whitney Houston attended an AIDS event in London, in 1991, with a gay partner. Though he declined to identify her, the organizer – respected gay rights and equality consultant Vernal Scott – said that Peter Tatchell was referring to Robyn Crawford. Robyn Crawford and Bobby Brown – who is a volatile product of the Boston ghetto – apparently once fought for Whitney Houston’s affections. So, if they will meet again in the febrile ambience of the singer’s funeral, one shudders to imagine what might happen. Another person that is not welcomed at the funeral is Whitney Houston’s “wicked step-mother”, Barbara. Barbara Houston married John Russell Houston Jr., amid much familial rancor, just months after he and Cissy were divorced in 1992. At the time Barbara was a single mother in her mid-20s, and John Russell Houston Jr. was 71, and their relationship began when she worked as his cleaner. After his death, eight years ago, Barbara sued Whitney Houston for the right to remain in the plush apartment the singer had bought for her father. The case finally resolved, in a defeat for Barbara Houston, only a few weeks ago. The great irony – and perhaps the greatest tragedy – is that at the peak of her fame in the 80’s and early 90’s, Whitney Houston was held up as the ultimate female role-model. Whitney Houston was also seen as a unifying force, the trailblazer for the color-blind, classless society that then seemed to be evolving on both sides of the Atlantic. Her appeal transcended not just musical tastes but ethnicity and age, and she was hailed as the first “crossover” pop-star. When Whitney Houston starred opposite Kevin Costner (who will deliver a eulogy today) in the $400-million-grossing movie The Bodyguard, their mixed-race screen affair was heralded as a ground-breaking cinematic event that would change perceptions forever. During the early 90’s, when people started to recoil at her image, Whitney Houston attempted to enhance her “street-cred” by recalling her tough upbringing. “I’m nobody’s angel,” Whitney Houston proclaimed. However, her mother’s lucrative singing career and her father’s keen business nose afforded Whitney Houston a comfortable upbringing. Soon after the riots of 1967, Houston family fled burnt-out Newark for nearby East Orange; now plagued by drugs and crime but then a thriving, middle-class town. Whitney Houston attended the best school and hoped to become a teacher or a vet, singing purely for joy with her mother in the gospel choir before her celestial voice came to the notice of recording executives. She also landed a modeling contract with a top New York agency, when she was 16. Her formative years seem to have been so perfect. Those who knew her then say she was remarkably modest. She worked prodigiously, obeyed her parents, dressed demurely, and was always impeccably behaved. Was it all a façade? Certainly that is the view of Robyn Crawford, who became inseparable from the 16-year-old Whitney Houston when they did summer work together at a community centre. “When my mother first met her, she laughed and said: <<You look like an angel but I know you’re not>>. And she wasn’t,” Robyn Crawford recalled this week, speaking about their close relationship for the first time. Whether this extended to having a gay relationship, Robyn Crawford did not say – she has never commented on the rumors, which began after she was employed by Whitney Houston (rising to become her omnipotent “creative director”) and were aired most compellingly in Kevin Ammons’ unauthorized biography of the singer, Good Girl, Bad Girl. Kevin Ammons is the boyfriend of Whitney Houston’s long-time publicist, Regina Brown, whose silence Whitney is said to have bought with fabulous gifts, including a gold Mercedes, diamond-jewellery and rent-free apartment. 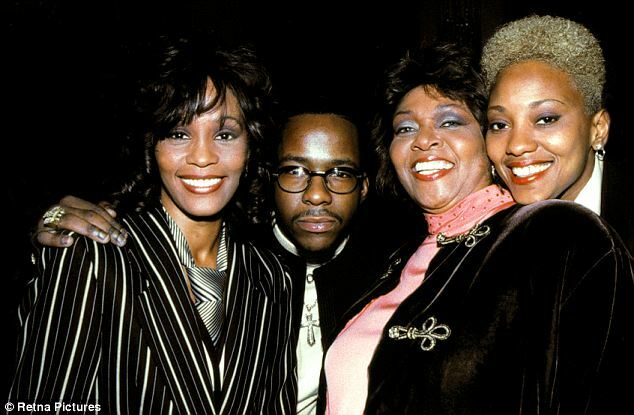 He also claimed Cissy Houston was distraught by the relationship, and urged her daughter to end it. If Whitney Houston was secretly gay, or at least bi, and felt forced to live a lie, this might – as Peter Tatchell suggests – have led her to take refuge in the drink and drugs that killed her.